Now commencing a good website would be easier than ever in 2019. You have a wide range of platforms to opt from, and several allow you to build almost any type of site you wish. However, choosing a Content Management System (CMS) to utilize has never been more thought-provoking than this, due to the multiple numbers of choices available. Before moving any further, we will review the statistics comparing the CMS’; we can see the Market Share trends rate these three – WordPress, Joomla, and Drupal as the best CMS among others. With the market share of 59.3%, WordPress stands on the top; second comes Joomla with 5.7%, and the third is Drupal with 3.7%. We have come up with a variety of the CMS options for you to choose from them. However, all these CMS share the same feature in common; they are all open-source CMS and readily available across the web to download. Let’s move further to find the best CMS in 2019. With that in mind, now we will introduce you the best CMS options available for 2019! We are keen to stake that you would have perhaps heard about WordPress. This CMS, claims the leading market share among its entrants undoubtedly, and it’s easy to see why. However, WordPress, initially considered as a blogging platform, has developed further than that point. This CMS is simple to use, and you can tailor it to your heart’s content making use of plugins and themes (of which you have thousands to select from). Coming to Content Management, WordPress offers a great experience and turns out to be the best CMS for website development. Publishing new posts and pages is very easy to access to a potent editor that allows you to set-up your content. Furthermore, the platform also supports user registration, obtains daily updates, and features a great and useful community. It comprises automatic publishing and content management options. Offers a powerful editor that allows you to create your content with ease. It is highly adapted, thanks to the tons of plugins and themes. It has a robust and vibrant community. The only disadvantage of using WordPress is that every so often you’ll need to blend and match lots of plugins to include the exact functionality you require to your site. Thus, there are many helping experts in the market those have mastered the skill of blending the WordPress as a CMS desired for your business website. You can opt for a WordPress Development Company in the USA or a WordPress Development Company India; those have the best reputation in the market and the skillset of molding this tool as per the client’s desire. There are also other CMS options that offer a more updated blogging experience. However, they can’t match WordPress’ customizability. When we are at listing the best CMS, Joomla is the one striking our minds. As it is one of the terms that turn up every so often together with WordPress. To be exact, Joomla is ideal if you want to run a website that does not mostly mean the base on text content. The platform also offers many more options when it comes to making use of the user management. For instance, Joomla brings a fantastic opportunity for membership-based sites. On top of that, Joomla also comprises bilingual support out of the box. That means you don’t have to make use of plugins or extensions to include more dialects to your site. As a final point, Joomla also allows you to make use of various templates or themes at the same time, for different types of content and the desired cms web design software. It provides firm support for custom post types. It offers innovative user management options. It includes bilingual support out of the box. It assists in using unique templates for each page type. In the paper, Joomla sounds astounding, and it is a healthy choice. However, it’s not as novice-friendly as WordPress, so it might take you longer to know how to operate a website using this CMS. It also doesn’t provide as several extensions or templates as some of its entrants. That’s not necessarily a deal-breaker, but it means that there are some important aspects you need to apply yourself, making this a right fit for those who have does not have much experience as a cms website builder. 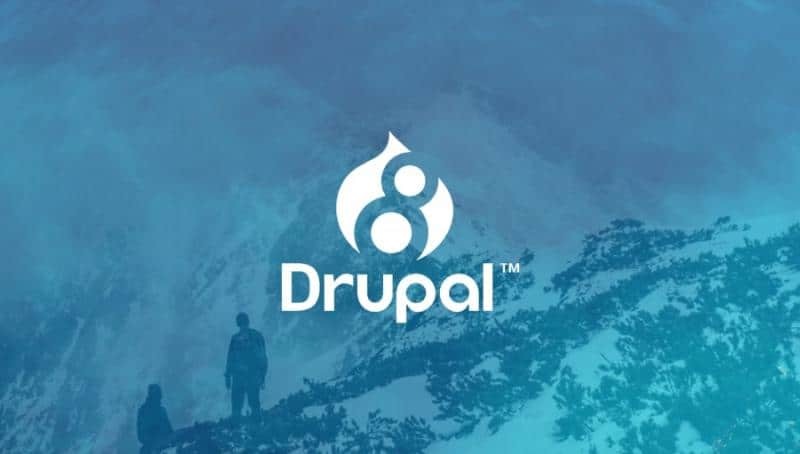 Drupal is the next vital term that holds much weight in considerations among the top open source CMS. While it sets behind WordPress and Joomla in market share, that doesn’t bring it any less distinguished. In practice, Drupal lusters in a lot of the equal parts Joomla performs. For instance, it offers a more flexible structure for dealing with custom-built post types. It also provides you with a high amount of control over your users and their consents, and it can even manage bilingual sites out of the box. On the other hand, there are other parts where Drupal is in a class of its own. Its classification structure is more potent than its participants. Moreover, Drupal is measured to be a more secure platform than both, WordPress and Joomla. It provides a complete, flexible custom post creation and management system. It offers cutting-edge user management and permission settings. It comprises out of the box support for bilingual sites. It has a thorough classification system. It claims top-class security for your website. You can develop almost any type of content management system website you want making use of the ‘big three’ CMS platforms, which comprise WordPress, Joomla, and Drupal. However, Drupal is well-known for its scalability and security, which frequently makes it a superior option to cms developers to choose for business websites. It performs; however, it includes the feature of a sheer learning arc. In most cases, we wouldn’t suggest that you utilize Drupal until you have enough web development experience with a top CMS Website Development Company in India or the USA or any other in the respective zone. However, if you are quite comfortable with the development process, this is one of the top-notch CMS options available nowadays. At present, we’re offering into the kingdom of smaller-known CMS platforms. However, that doesn’t make these choices any less appreciated. It just means they have more particular use cases. Consider Typo3, for instance, This CMS has elasticity as its leading selling point, and it the same provides to business-level websites. For example, if you want to utilize the cms development services to create an intranet, Typo3 would be a great choice. When it comes to accessibility, however, Typo3 isn’t typically a top choice. In our vast experience, this CMS is the best fit for users who have some great practice of cms website development services and is less apt for smaller, simple websites. On the other hand, Typo3 consists of many exciting features, such as multilingual support. It also allows you to work on various sites from a single installation, which can save you from enough tasks. It is a right choice for business-level sites. It comprises of support for bilingual websites. It lets you manage multiple sites from a single download. It provides accessibility to share data and tools among your sites. We’d suggest that you make use of Typo3 if you have to manage various sites that fall under the under one roof. You get the chance to share templates, extensions, and even the users among sites. In contrast to our prior choice, Serendipity is an accessible CMS that is seamless for small articles. Our experience says that Serendipity is one of the most lightweight CMS’ you can ever use. When it comes to functionality, you can spread out what the platform can achieve making use of themes and plugins. Furthermore, you can seek front or back-end specific plugins, which makes finding the tools you want very easier and more straightforward. It is excellent for performance-oriented websites. Provides better access to a vast assortment of themes and plugins, to assist you to adapt your site. Generally, Serendipity is a right choice for small websites. It also makes setting up easier, graceful blogs apace in the park. Although, it lacks a little in weapons if you’re willing in more finished projects. For my part, I’d suggest it if you’re seeking out something that’s not as complex as WordPress or Joomla and is fast to learn. Dotclear is another best CMS option if you’re seeking out a more comfortable blogging experience. Among all the CMSs we’ve checked, few are as easy to use as Dotclear. In spite of that, the platform includes features an editing experience that’s very similar to what WordPress provides. With Dotclear, you obtain good access to a strong set of post publishing, management, and classification options. The platform allows you to write your posts in simple text, HTML, and even Wiki syntax. Adding to those vital and essential features, Dotclear also allows you to produce RSS feeds. Along with which you can comprise innovative functionality to your site using plugins and themes. Is quite easy to use and set up. It supports simple text, HTML, and Wiki syntax. It allows you to produce RSS feed for your site efficiently. Finally, we’d set Dotclear in the similar category as Serendipity. It’s one of the top CMS platforms you can opt for if you want a pure blogging experience. Along with that, either one comprises all the options you have to launch a successful project. Which one you select that will just come down to individual choice. Another one, ImpressPages is a lesser-known CMS. However, it offers one of the top blogging experiences we’ve seen up to now. Its editor is spotless, and it features a contemporary interface. Along with that, it allows you to consist of some features other CMS’ don’t – however without extensions like maps and forms. Apart from editing and blogging, this CMS scores high points in the entire panel for design in custom cms development services. Its dashboard looks contemporary, is easy to use, and offers you with ample options to adapt your pages and your site’s functionality. ImpressPages is an outstanding option if you’re seeking out a CMS with an interface that doesn’t feel like it got jammed in the last era. It also comprises a mechanical drag-and-drop builder out of the box; hence, creating the pages you need is very simple. On the top of that, you can tailor the CMS using plugins and themes. In spite of its various pros, however, ImpressPages can’t participate with the likes of WordPress when it comes to the entire number of extensions. That means building websites with custom functionality can now and again be tougher. Provides a contemporary and straightforward interface that’s easy to use. It comprises a powerful editor with advanced functionality. Allows you to create the content efficiently using a drag-and-drop page builder. It provides better access to a decent choice of plugins and themes. In our point of view, this lesser-known platform is the top CMS you can use if you want to create secure landing pages, or if you value ease of use very highly. 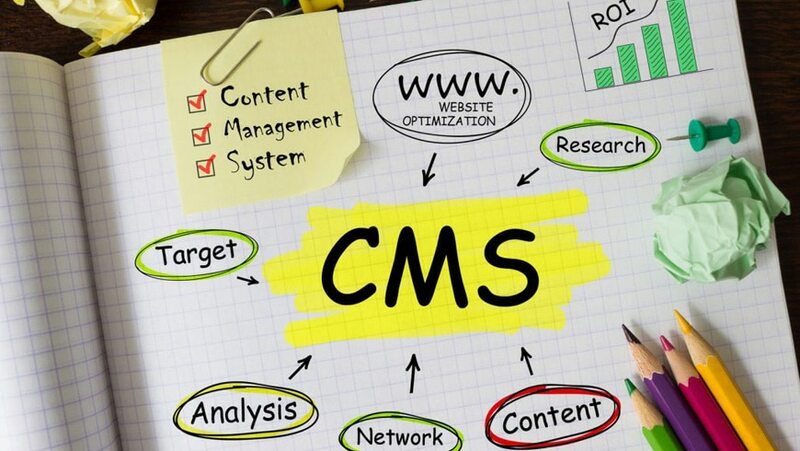 Read more: How to reduce your website operating cost effectively using CMS? Last but not the least, we list down one more significant CMS – Chamilo. This platform is diverse from everything else we’ve seen so far because it’s geared towards a specific type of website – studying about many platforms. Chamilo is what’s known as a Learning Management System (LMS), which is a particular kind of CMS. With Chamilo, you can also build online courses that have a vast range starting from simple to highly complicated. Your classes can comprise text, multimedia features, and various choice questions, and you can even set up tasks. If you are hunting for a CMS to allow you to allocate homework, then look no further. However, that is to say, as Chamilo carries out its own when it comes to ease of use. It makes a perfect selection if you want a platform that can manage several teachers, and it offers you the most significant tools you’ll need to create the right online programs. It offers a robust platform for creating online courses. It allows several teachers to work side by side. It will enable you to create puzzles, conditional questions, assignments, and other learning materials. The only disadvantage to Chamilo is that development is not very active than other CMS options we’ve seen to this point. However, there’s a robust user community in both Spanish and English for this LMS, in case you need support to start again. Opting for which CMS to use is about an individual alternative looking for an Operating System (OS). All the best CMS choices have their followers and critics, but you don’t want to take a decision jokingly. In my opinion, we’re fractional to WordPress due to its ease of use and maximum level of customization. Although this article contains all the possible listings, that we can make for the CMS’ functionalities and features; it is always a correct decision to take an expert advise from a content management system company. We have been assisting this industry of CMS development for years as an open source cms development company, and we all know that our ranges may differ; thus, it is an excellent recommendation to take a suggestion from this Custom WordPress Development Company India, USA to get the best CMS for your website in 2019.